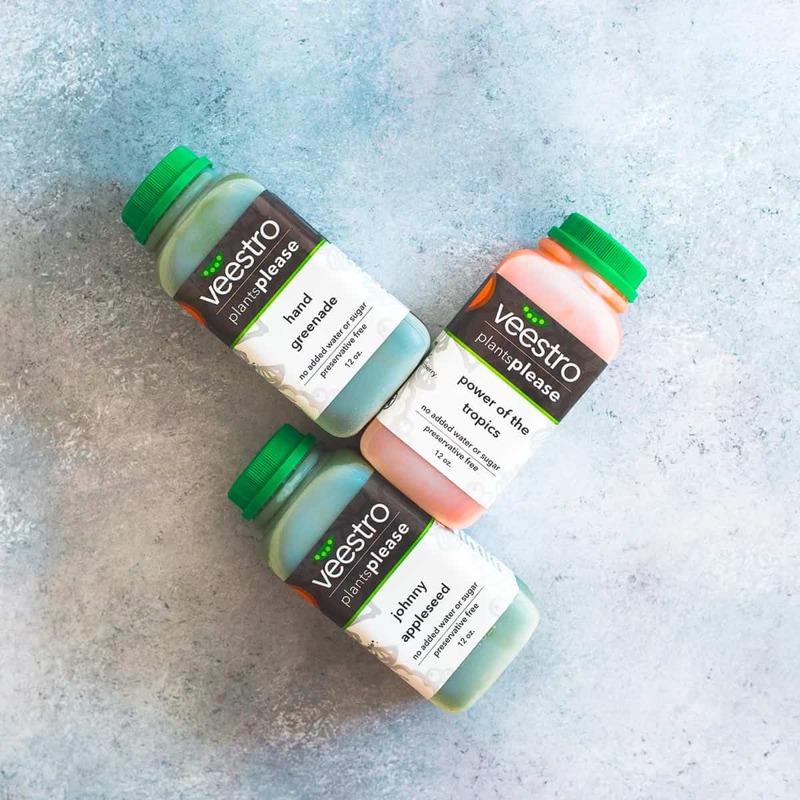 A more in-depth review of some of Veestro’s breakfast and juice options along with a simple kimchi potato hash that goes along great with either their savory croquettes or breakfast burrito. A couple of weeks ago I shared my review of Veestro’s meal delivery service and highlighted a few of my favorite meals with you guys along with a simple grilled baby bok choy recipe that I’ve been making a TON lately (it’s just too easy and flavorful not to). Well, today I’m back with a more in-depth look at Veestro’s breakfast and juice options because I think they’re both something that sets them apart from some of the other services out there and to be honest, a lot of my favorite meals happened to be the breakfast ones! 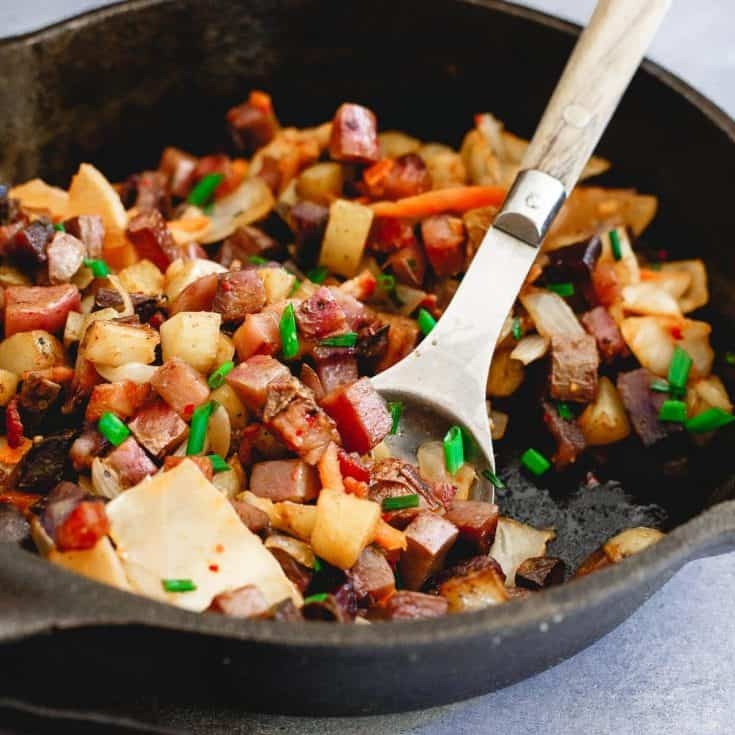 I also included an easy recipe for kimchi potato hash below that I whipped up one morning while heating up a Veestro breakfast meal to go alongside it. It makes an excellent breakfast side dish but I’ve also made it since with a couple of eggs on top and some spinach thrown in for a stand-alone breakfast option too! *This post is sponsored by Veestro. All content and opinions are my own. I think it’s both pretty cool and pretty smart to include breakfast options as part of a meal delivery service. Seems like the focus is always on dinner and busy weeknights but in reality, I think for most people, breakfast can be more rushed in the hustle to get out the door in the morning than any other meal. Veestro offers a great selection of breakfast meals from the breakfast burrito and savory croquettes shown here to a quinoa bake, three-layer scramble, the oatmeal breakfast pie I featured in the last post and a handful more. True to literally every Veestro meal I’ve tasted, the breakfast burrito and savory croquettes were delicious. 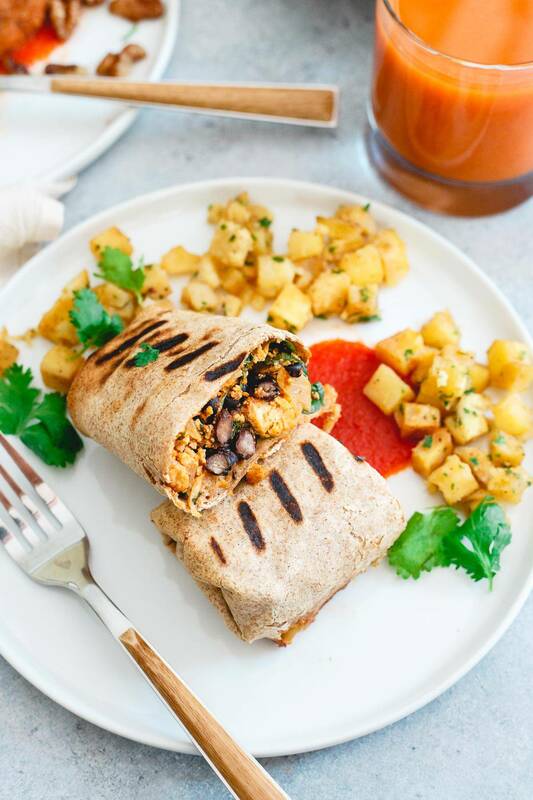 Breakfast is the one meal where I don’t feel the need to eat meat and so tofu, potato, and beans as plant based substitutes truly satisfies me and doesn’t leave me feeling like I need to add more to the meal or modify it if I don’t want to. I also loved pairing one of the juices Veestro offers with the breakfast meals. These juices are legit! The kind of thing I’ve been known to spend upwards of $10 on at some hipster juice bar or your standard Jamba Juice. Just fresh vegetables and fruit, nothing else. 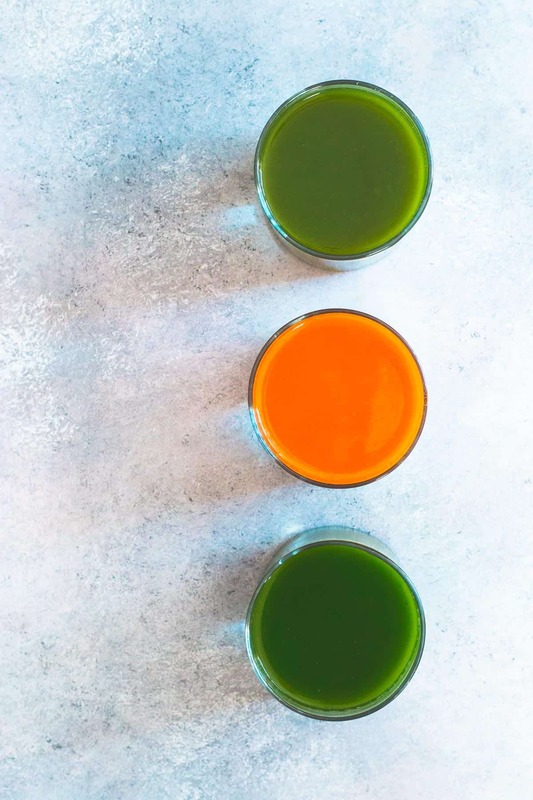 I’m a little like a kid in that I must start my day with some sort of juice accompanying my breakfast before my coffee and these made a fun and nutritious stand-in for my usual orange juice. I did dilute them a bit and used only about 1/3 of the container with the rest of the glass as water but that’s just a personal taste/sweetness preference (as well as not wanting to blow 30+ carbs on liquid first thing in the morning). They were a fun (just like their names) addition to the meals. The breakfast burrito was both mine and Ulysses’ favorite. We literally argued who got to eat the second one. The filling was delicious and hearty, the sauce truly tasted good (something I struggle to say with most prepared tomato sauces) and I loved the potatoes on the side. In fact, they’re what inspired me to create the kimchi potato hash below. I wanted MORE potatoes! I enjoyed pairing this breakfast with the Power of the Tropics juice. The carroty, ginger undertone went really well with the burrito somehow. Tip: Definitely heat this one up in the oven. The filling gets warmed through but the tortilla stays crispy on the outside. 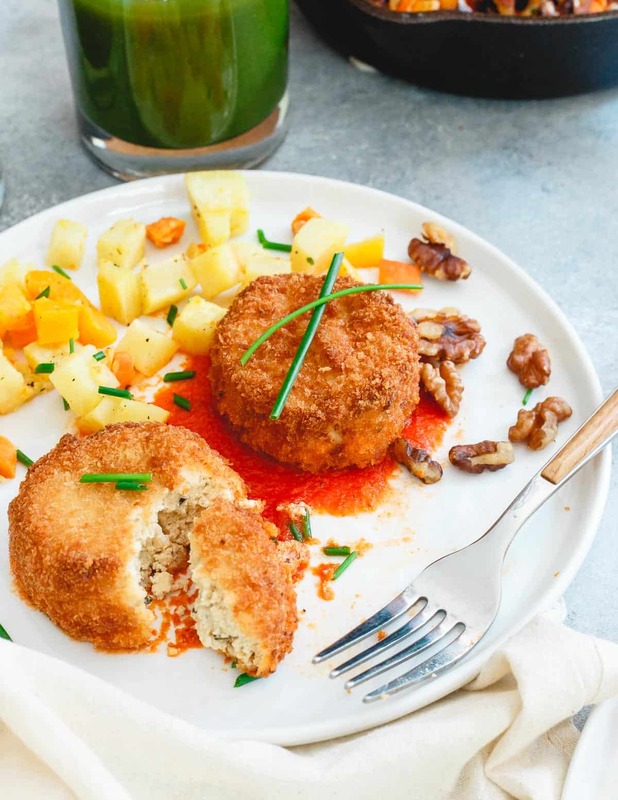 Savory croquettes…I don’t know where to start with these. If you haven’t ever had a croquette, they’re like a cross between a tater tot, hash-brown and hush-puppy. They’re super popular in Spain and bring me right back to living there my junior year of college. My best friend’s host mom (who had a deep fryer IN her counter top <– equal parts amazing and terrifying) made them all the time and they were the most amazing things ever. It’s also why she came back second semester a solid 15 pounds heavier. Ha. Weirdly, when these were heating up, I was also hit with an intense dose of high school cafeteria nostalgia. But, in a good way. The smell was just so similar to the smell emanating from the caf in the morning I could literally feel myself walking through the halls between periods to my morning classes. Nostalgia aside though, the croquettes crispy outside and soft inside was one of my favorite meals from a texture standpoint. It came with some squash on the side and another delicious sauce to serve with. All in all a delicious breakfast meal as well and paired really nicely with the less sweet green juice option, Hand Grenade. Tip: the sauce is just as good heated up in the microwave and it’s an easier, quicker prep method than the directions suggest! 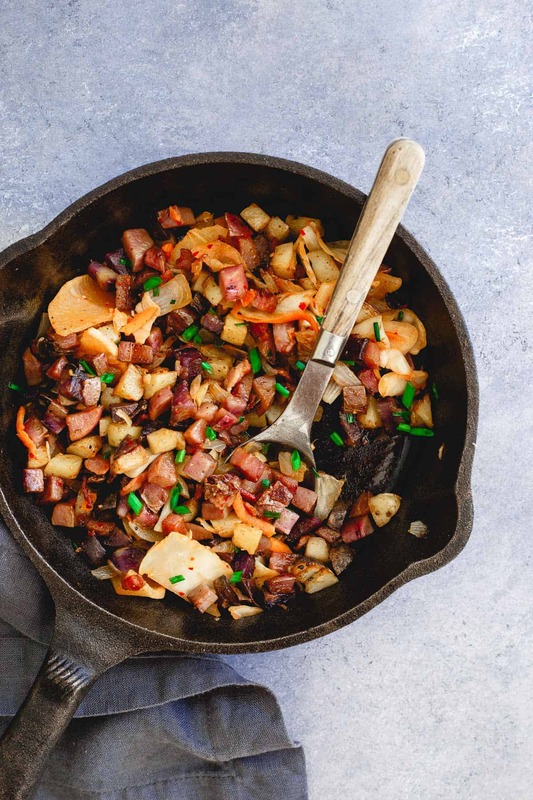 This kimchi potato hash was the perfect addition to breakfast on those mornings I wanted a little bigger of a meal to get me through until lunch. It’s easily kept plant based if that’s your thing by omitting the bacon but if you eat meat, I highly suggest using it. The salty kick it brings to the potatoes (they’re cooked in the bacon grease) and way it helps them crisp up is breakfast perfection. If you’re not on the kimchi train (or have been living under a rock in regards to all the probiotic benefits fermented foods contain), get on it! And if you want to try fermenting vegetables on your own give that post a look! It’s so simple and a great way to up your probiotic intake. I used a prepared radish kimchi in the hash because I think radishes stand up to the potatoes a bit better than traditional cabbage kimchi but either will work. Besides the nutritional benefits, kimchi brings a hint of spice and another level of saltiness to the hash as well. Veestro is continuing to offer 20% off your first order with the code KITCHEN20. 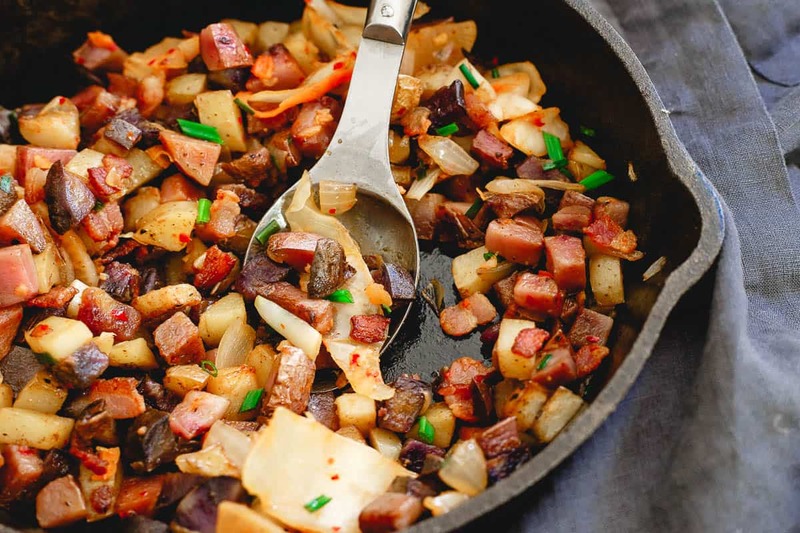 Love this kimichi potato hash recipe? 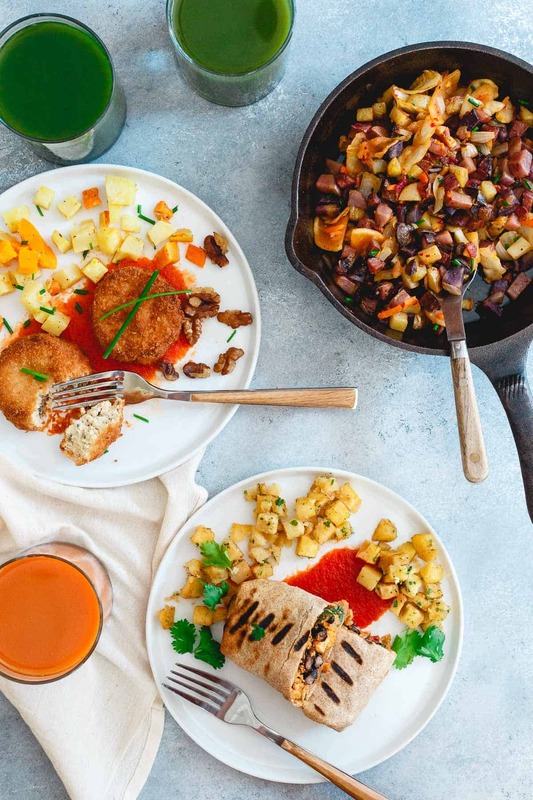 Try Harissa Sweet Potato Hash, Southwestern Hash Brown Waffles, and Jalapeno Cilantro Hash Stuffed Portobellos. This kimchi potato hash cooks up quick for a delicious breakfast. Optional bacon gives it a salty kick. Serve with an egg or two on top! Place a small skillet over medium-high heat. Once hot, add bacon, cook until crisp and remove to a paper towel lined plate with a slotted spoon leaving grease in the pan. If not using bacon, add 1-2 tablespoons oil to the skillet. Add onions and potatoes to the skillet, reduce heat to medium and cover. Cook for about 10 minutes, remove cover, season with salt and pepper, add the garlic and toss to combine. Cook for another 5 minutes until potatoes start to brown and crisp up. Add the kimchi to the skillet, cook another minute until warmed through. Turn off heat, season to taste and garnish with chives. -Serve as a side dish or top with a fried/poached egg as a standalone meal. I LOVE LOVE LOVE how there’s kimchi in this hash! I’m always looking for extra kick! It all looks absolutely delicious! It tastes better than other potato dishes.